It is far from an easy job being the project manager for a construction site. It’s a position that requires you to coordinate and oversee every aspect of the construction. From acquiring the right equipment to managing the men and women on the job, it bears an enormous responsibility. Project managers need to be prepared for the challenges that a construction entails and the problems they might face. Here are some essential tips that every manager should keep in mind before they begin. 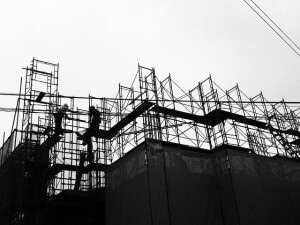 One of the most important aspects of managing a construction site is keeping to a schedule. Not everything will be achieved to deadline as there will always be unforeseen delays, unexpected hiccups and jobs that take longer than anyone could imagine. However, keeping a loose plan of what you are trying to achieve and by when will help to keep all of your staff on task. You could establish milestones and define key performance indicators in order to do this. Setting timeframes on everything from ordering construction equipment like cherry pickers to having the foundations completed. The earlier you do this, the smoother your site will run. It’s often required that project managers on construction sites keep a daily log of the activities that occur. It means that if a problem occurs during the job, you may be able to understand exactly what the chain of events were that caused it to happen. Next time, you’ll be able to improve your construction site’s performance based on this knowledge. However, daily logs serve an even greater purpose: they can be used as evidence if any dispute arises on the construction site. As with most industries, technology has reached a level so advanced that it has become an essential part of managing a construction site. It’s there to help you, so don’t be afraid to use it. The most useful tool to assist you in your duties is project management software such as BuilderTREND, Co-Construct or Maxwell Systems Estimation. These will allow you to manage your budget, documents, schedules and orders in one organised place. It means you can also access these details from any location and on a number of devices. It’s a far better platform than doing it all by hand. Safety comes first. None of the advice listed above means a thing unless your workers are guaranteed a safe experience working on your construction site. No matter how many unexpected issues or delays you encounter, this should never become less of a priority. Manage your employees to make sure that they are given the correct safety equipment and training. Ensure they are also given sufficient breaks and instructions that will help them perform to the best of their abilities. Project managers on construction sites often forget one of the most basic aspects of the job – management. Once work has begun and your team are busy working on achieving their tasks, it’s very common for project managers overseeing a construction site to step back to the sidelines and simply be an onlooker. This is not recommended. Managers should be hands-on. They should be providing a helping hand, they should be asking their staff how it’s going and they should be on the floor congratulating good work.